One practical session at the 2012 American College of Rheumatology (ACR) Scientific Meeting was a short talk on preventing infusion reactions presented by a nurse from Seattle, Christine Elliot. Ms. Elliot has supervised 15,000 rheumatological infusions in over a decade as an infusion nurse. 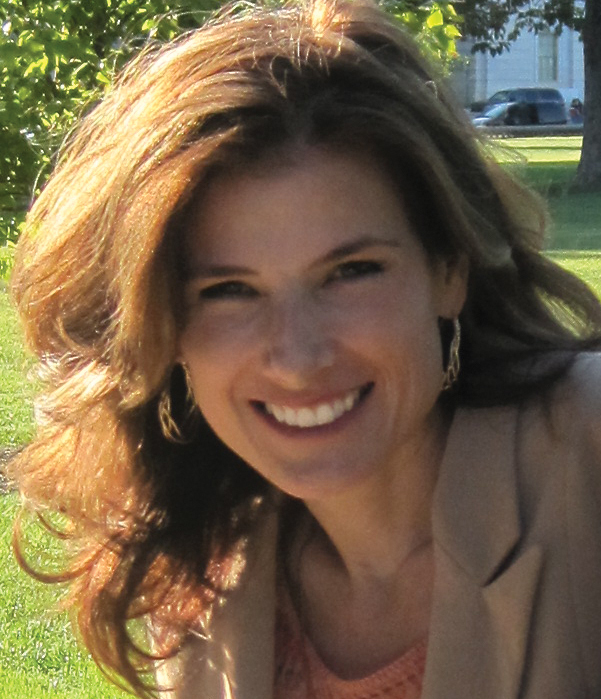 She offered an overview of infusion reaction safety and shared insights she has gained from her extensive experience. Biologics are often prescribed for moderate to severe Rheumatoid Arthritis (Rheumatoid Disease) when response to disease modifying drugs (DMARDs) is insufficient. In the U.S., four different Biologic treatments are administered via IV infusion: infliximab (Remicade), rituximab (Rituxan), abatacept (Orencia), and tocilizumab (Actemra). For many people with Rheumatoid disease, infusions become a regular part of life. 1) What is an infusion reaction? Most infusion reactions are mild with symptoms such as headache, nausea, or dizziness. Stopping the infusion of the drug is usually sufficient to treat mild reactions. However, it is important to keep the IV intact in order to continue to provide saline to the patient for hydration or in case other IV medication is required. In most cases, infusion reactions resolve at this point. Further signs of an infusion reaction include back pain, chills, nausea, joint aches, fever, and fatigue. Obviously, it is important that a patient and the nurse distinguish these as changes from usual Rheumatoid symptoms. Treatment is the same as with a mild reaction, except that medication may be given to treat the symptoms: usually 25-50 mg of diphenhydramine, 500-650 mg acetaminophen, or a dose of hydrocortisone pushed via the IV. Severe infusion reactions are rare. Symptoms include hypo or hypertension (a 40 mm degree difference in blood pressure), angioedema, wheezing, or stridor. Treatment is the same with care to maintain the airway and the possible use of oxygen or epinephrine to treat anaphylaxis. Cardiac arrest is extremely rare and Ms. Elliot has never seen this in a rheumatology patient. Remember: Severe reactions are rare. Your best protection is being an informed patient and having good communication with a skilled nurse. 5) Prompt intervention is important and may prevent a more serious reaction. 8 ) Always maintain the IV in case it is needed to treat the reaction. 9) Rule of twos: reactions usually begin between 2 minutes and 2 hours of beginning an infusion. 10) It helps if the nurse communicates well with the patient in order to recognize a reaction early and distinguish it from anxiety, hunger, pain, or other distress. 11) Re-challenging: a decision to try the drug again must be made on a case-by-case basis. Elliot mentioned that in her research she had never seen any literature about the throat tickle symptom, but that it occurs frequently with rituximab. And only with rituximab. I did have this symptom during some of my Rituxan infusions and I can tell you it feels like a cold virus is coming on. I’m not sure why it has not been better documented since it’s common and a clear sign to slow the infusion rate. When Should People Living with Rheumatoid Disease Use a Wheelchair? Thanks for posting this info! I had 2 Remicade infusions without a problem, then within a minute or two of the 3rd infusion, went into anaphylactic shock. It was quickly taken care of but that was the end of Remicade for me. I wasn’t really aware of any but mild infusion reactions, so it came as a complete surprise to me. I had my blood pressure spike to 130/220 Rituxan, almost ended up in the hospital. Also I have had that tickle in my Throat ever since. The “tickle in the throat” was the earliest sign I noted in a patient allergic to the IV dye given to my patient in CT scan. I noticed the patient was repeatedly clearing her throat right after the CT scan started, and after the administration of the IV dye. I requested they stop the exam and questioned the patient about her symptoms which initially, she denied. By the time I assessed her and called for the ER physician to come to CT, she had stridor. IV steroids and diphenhydramine stopped the reaction. The patient later said that she thought nothing of the need to clear her throat and was glad that I kept pressing her about it. That “pearl of wisdom” was not handed down to me or anything, but no matter how subtle, it was “different and new”, as this patient had been in my care for the previous 2 hours, and had not been clearing her throat. With allergic reactions, the reaction gets more severe with each repeated exposure to the offending agent (as I witnessed in a patient who had a known allergy to mango, ate a mango, and the outcome was fatal). If you have tickling in your throat that occurs with your infusions, I would question an allergy. On that same note, if you take steroids to control inflammation, that may be preventing you from going to full reaction. I would certainly want to know what the risk is here, and if prophylactic pre-treating with steroids and antihistamine was recommended. Just a thought. The patient with the mango allergy, later ate a papaya and suffered severe reaction resulting in death. I had a severe anaphylactic reaction to Remicade during my only two infusions. First I felt a very strange roar in my head like all the blood was rushing out of it or something, then my throat started to close off so that I couldn’t breathe and I started passing out. My eyes kept rolling back in my head, it scared all the other people in the room. They stopped the medication but I felt really awful for the rest of the day. I tried it once more where they pre-treated me with IV benadryl. But I had the reaction again. And that was the end of Remicade for me. I have always suffered food alergies and it would have helped if I’d had an epi-pen with me. Wow, am I glad I read this. I tried Remicade a few years back,and had a reaction with the second IV. Then years of trying all sorts of shots that none worked or it made me sick for a year, they decided to try Orencia on me since it is tolerated by everyone. (right) My first dose went ok, but my second dose was really different.It started that night with stomach pain,and each day I had worsening reactions until my tongue started to swell and I felt like my skin was crawling.I was having an aphylactic reaction.I tell every doctor or infusionist that I am REALLY sensitive to chemicals, and I have a ton of allergies. After I called the drug company, they said I was allergic to Orencia. They also told me the drug would remain in my system over 13 days. My Dr. told me to never take it again…no problem. Now, the doctor wants me to start Actemra. Honestly, I’m afraid to try it. Has anyone tried that drug? I really don’t want to go through that again and this time the drug could stay in my body longer. Any ideas would be helpful. I’ve been on Actemra for almost a year now. As you know, everyone is different in how they respond to meds, but Actemra has worked very well for me – I’ve been in almost complete remission for about 8 months. This after having very little response to methotrexate and no response at all to Humira, Cimzia, Remicade, and Orencia. No side effects at all that I can identify. No infusion reactions, no infections, no rashes, no nothing. Except maybe this: I’m back to my pre-RA moderately overweight weight. I suppose I could indirectly blame that on the Actemra – I was ill enough to lose about 30 pounds during the time my RA was active, without trying to. Getting rid of the RA symptoms, I went back to my habitual weight. I doubt that would happen to someone who started off skinny before getting RA. Thanks, does that mean you gained weight after the infusion? Yes, compared to the weight I was at while my RA was active – after a year on Actemra, I’ve gone back to what I weighted before getting RA. Not a problem, really, as I think RA has to qualify as one of the worst known ways to lose weight! It’s important to know that the disease frequently has a “wasting” effect, causing the person to lose weight & solid body mass (bone & muscle). If a treatment works, that process may be stopped/ reversed and the person would have the effect that Jeff did. Also, the disease changes various blood levels related to fats – for example, it tends to cause lipids to be low, even though it increases heart disease risk. Some treatments, like Actemra (we saw a poster specifically on that at ACR) can cause lipids to increase – but more study is needed. The person may be like Jeff said, back to a state before the disease was active. Exactly, Kelly. Before going on Actemra, my cholesterol and triglycerides were actually lower than the bottom of the lab’s normal range (something my rheum says is common in patients with really high CRP/ESR, which I had at the time). Once on Actemra, my lipids did go up, but only into the normal range. These are complex issues with several factors, not all that are even known at this time, of course. But unfortunately, people tend to go by headlines such as “lipids increase with this drug.” It’s important to measure your lipids with Actemra & other drugs to be sure it’s in the safe range. But it’s also important to try to get the whole picture when making decisions. Canada has a class action going now 700,000 Billion dollars I paid all this money thru the years for it to kill me probably…I bet this post won’t get seen by many. I live in Michigan my facebook says Beverly Hill (Eagle) if anyone wants to talk. If you were not helped to learn about the risks and potential side effects of your RA drugs, then you have every right to be angry about that. Patients should be completely informed about the risks, the benefits, and especially the uncertainties associated with the therapies they choose. 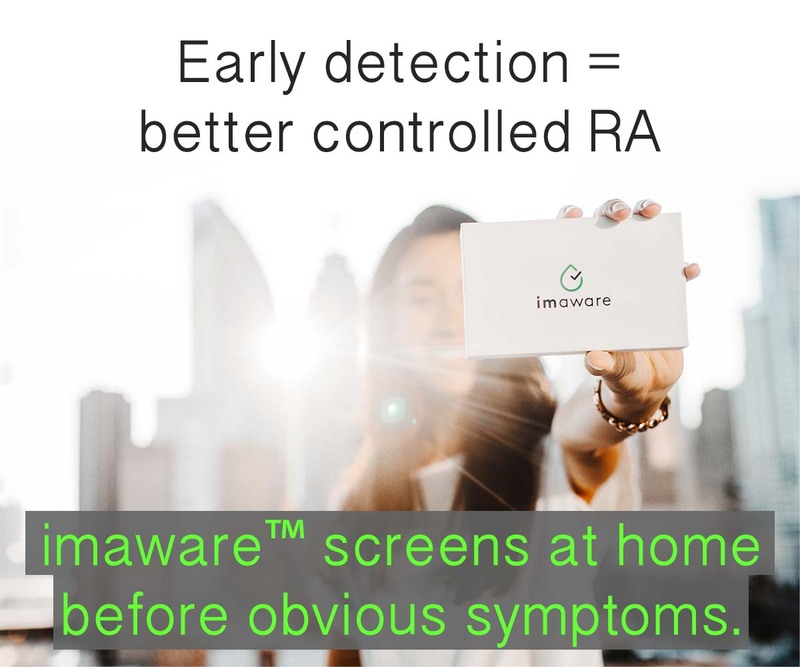 However, there really isn’t anything “safe” you can do about RA. Not only do the various treatments have risks, choosing not to treat RA has very real risks: an increased risk of death from cardiovascular disease, a higher chance of developing lymphoma, and a near-certainty of joint damage that quite often leads to total disability. If any health care provider tries to tell you that they have a “completely safe and effective” treatment for RA, you’ve found a quack. All patients can do is look at the risks and benefits of the various options available to them, and make an informed decision. The (scientific) jury is still out on whether, and how much, various biologics increase the risk of cancer. There is theoretical reason to think that lowering immune response could make one more likely to develop cancer, but studies on at least the anti-TNFs have been inconclusive. Some seem to find a small cancer risk associated with the drugs, while others find no effect. Due to the specifics of my personal situation, I am more worried about becoming too disabled to work than I am about dying early. So, I’m perfectly willing to take a small risk of an early death in return for a greatly decreased chance of disability. Obviously, other people might have reason to make a different choice. I’m so sorry you are going through this. I will pray that your treatment for this cancer is completely successful. I can’t imagine what you must be going through right now. I do not think there is clear evidence about whether it’s possible for this medication to cause cancer, but if after 8 years it has in your case, then you deserve every benefit a lawsuit could bring you. These treatment decisions are very difficult since the risks of the disease itself are so high. It is known to double our risk of lymphoma, make us 6 times more likely to die of infection, and more than doubles our heart attack risk. My own grandfather died this way from RA. None of the treatments have given me relief from symptoms yet, and I have to agree that the last time (in a clinical trial with an experimental method of faster infusion) and this next time (the newly approved med), I was (and am) afraid of what could happen. These are our hard choices – a cruel disease that shortens our lifespan by 5-15 yrs & creates certain damage or take uncertain risks with medicines that help some people, but not all of us, to live much better. I also have the throat tickle. The first infusion I didn’t have it until I got home that night and was coughing. The next infusion I started coughing during it and mentioned it to the nurse and she slowed the drip. That worked. The last infusion I had of Rituxan was combined with Reclast for osteoporosis. The next day I woke up with my fingernails inflamed. Now when I get an IV I get an infection around the nails. One nail actually fell of and grew back after months. The last surgery I had in June my thumb nail got infected and is still infected. Doctors don’t know why and antibiotics don’t help. All of this has been within this past year. Excellent article. Well done. I would caution patients to take your time leaving the infusion chair and infusion or private room even if you are a veteran of treatment. Lesson learned, don’t get stuck in traffic after you have left and can’t get back in an emergency. Don’t hold back any info from your oncology nurse. Their experience gives them a built in “early warning system” that needs information flow from you. Be in tune with you body, feel the blood pressure change, watch for any symptoms, for example neuropathy onset. Talk to your nurse. Hugs are particularly helpful too. I was having Remicade infusions for my AS for two years, with great success, when I began to experience a return of symptoms. The response of my rheumatologist was to increase dosage. With that increase came an onslaught of symptoms I had yet to experience. Every joint in my body was on fire. Rolling over in bed was a five minute ordeal of excruciating pain. Getting out of bed could be accomplished only with assistance. I lost over forty pounds in fewer than two months. Needles to say, the infusions were halted. This was not an acute reaction, but came on after several years of regimen. Eventually I transitioned to Humira (adalimumab) and the symptoms subsided. I have been without symptoms since then. Thanks for sharing that testimony Brian. I’m glad you found something that works for you. Thank you so much for this, Kelly. Rituxan is likely in my near future – next week, in fact. Good luck Patricia! Will be thinking of you. Thanks for the post. 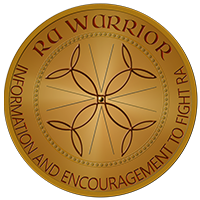 I am 32 years old, and have had RA for 16 years. I done well for many years on celebrex, then switched to Enbrel. It’s like my body becomes immune to it after so long. Tried Humaira, Orencia, nothing… just started Actemra last month. I was fine during the injection, however on the way home (I drive 1.5 hours to my doctor) I started experiencing extreme nausea & dizziness. Then 1 week later developed Thrush, yes.. just like babies get. I have read in several chat groups where others on Acterma have developed that as well. Hope to know soon if the Acterma is working.. still survingin on prednisone and Meloxicam. Krissy wrote she had thrush.Well, that sort of takes Actemra off the board for me. I’m highly sensitive to candida, and allergic to yeast.I have noticed since I started my food allergy elimination diet last year that my RA is not as bad.I kept wondering if that was one reason.Last year through a blood test of food allergens that can cause toxic reactions in my body,I started my food elimination diet. The list for me is really long, but some of my high reactions are from yeast, vanilla, wheat, rice,sugar,etc., etc.So, I have stayed away from these items for a year. I did cheat during Christmas but have gone back to my elimination diet. Then ready a book for my husband on how he could lose weight,it listed wheat as a big problem for RA.So,I may wait on taking anymore infusions, since I do not tolerate most of the drugs.If I start to get worse again, I’ll reconsider. By the way, I had a friend who’s mother had RA and then bladder cancer and when she was done with the treatments her Ra went into remission, and years later has come back less painful. Maybe some hope for the cancer patient? I get a scratchy/mucous-y throat with every remicade infusion. Since having it increased recently, I have experienced bone pain, joint itching and redness, and flushing and shortness of breath. I am reading as many websites as I can find because I have Rheumatoid Disease that is very resistant to treatment. Since diagnosis about 10 years ago, I have been on Methotrexate, Plaquenil, Humira, Enbril, Orencia, Rituxan, Mobic, Sulfasalazin and Actemra and numerous painkillers. I have also taken several dose packs of Prednisolone. Most medications have appeared to worked for a while then I either become resistant to it or allergic to it. My most recent event was very frightening. I have been infused with Actemra since April 2011. Most months I have experienced fatigue on infusion day and in the week before infusion. On February 1, 2013, I went to my doctor’s office for my infusion and woke up to find myself being transported to hospital with an acute allergic reaction. I apparently slumped forward about 20 minutes into treatment and was very difficult to rouse. I received Benadryl at the doctor’s office and a huge dose of steroids in the hospital. My blood pressure fell, but not dangerously so, and the hospital checked out my heart, which was fine, and my breathing, which was also not affected. After observation I was released from the hospital and am now at home and taking a dose pack of Prednisolone. I will not be able to take Actemra again and although my doctor wants to try the new pill (Xeljanz) recently approved for RA, I am obviously not too enthusiastic. The nurses and my doctor were fast-acting and conservative during the crisis in their office and I thank them for that. 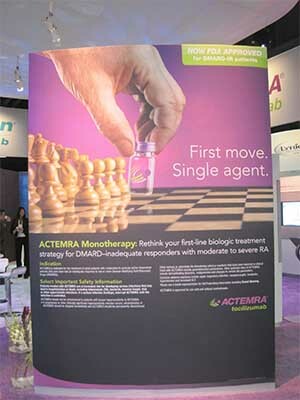 The warnings on Actemra state that a reaction is possible even if previous treatments have gone well. This is apparently true. After my first infusion of Remicade, I felt sooo good the next day that I forgot all my meds for the day! That was five years ago, and it does not work like that now. I wonder if I was so anxious about the infusion and the non-events that followed, that I forgot I had RA! Just had my first Orencia IV. I have only been diagnosed for 1 year. Orencia is my 7th medication. Like many here I start a med and it works for a few weeks then… nothing! That’s what happened with Orencia at home injections. I got the throat tickle during my first infusion of Orencia. It eased up when they slowed the drip. I had a raging headache that day and for days after. I took, Advil, but then began to get spontaneous bruising. I must say that reading this site prepared me for speaking up during my infusion. and drinking lots of water. I am hoping for better results soon. My biggest concern is disability. I am single no kids and live with my 70+ yr old parents. This month I got diagnosed with a level 2 melanoma. Cancer doesn’t scare me because there are treatments that work for cancer. It’s the RA disability that scares me most! Took Orencia, did not work. Took Remicade at increasing doses, did wonders for my joints and energy, but wiped out my immunity. I got septicemia after 9mos on max dose. Hospialized for 8 days. 5 months later, hospitalized again for infection, 6 days. Have been off Remicade almost a year, still susceptible to infections. I have been on one antibotic or another since last year. Biologics work well but are not without serious side effects. Now off treatment until “infections clear up”. In October will be 1 year. Wonder about the dcsion to go max dose. Oh Lord, I’m SO confused about which way to go with my RA treatment. Maybe even more so now after reading the adverse reactions some of you folks have encountered. I’ve taken the oral DMARDs, Plaquenil, Sulfasalazine, Methotrexate and all have made me sick AND didn’t help with my joint stiffness and pain. Against my Rheumatologist’s recommendation, I decided to go off all the RA meds about a year ago. Tried different natural type approaches and, as you can imagine, am getting worse. I still believe I am mildly afflicted as compared to others. It’s my nature to power through discomforts and continue on. As of my Rheum appt yesterday, I did agree to give Remicade a try. I was assured that if I have no change for the better after my third visit we would explore other options. Frankly, I’m scared…REALLY scared. I’m having a hard time trying to wrap my head around taking such potentially harmful drugs when I’m not totally dysfunctional or bedridden. I’m a young, active, 60 yr old, by the way, and have been dealing with an unnamed autoimmune disorder for over 20 years. They pinned it down to sero-negative RA 3 years ago. I’m grateful to have found this blog and to read others experiences. Pauline – you are right to be concerned and confused. The facts are that rheumatologistsbare are in the business of treating RA. My rheumatologist sends me to my general practitioner for practically everything except RA. If a drug treats the RA and symptoms are subsided, the medication is deemed a success. Side effects are barely considered when treatment is suggested. Patients have to be very aware of their bodies and be vigilant in watching for signs of side effects. Good luck. Thank you Yvonne! I’m sorry for what you’re dealing with and hope you have better reaction to Xeljanz if you decide to to that route. I’ve seen it advertised on tv and thought about asking my Rheumy about it. I feel like I can deal with my day to day aches/pains now, but, what’s so scary to me is ALL my physicians encourage me to be treated for PREVENTATIVE reasons and not just pain management. I know no one has a crystal ball but, it’s hard to agree to take toxic drugs and deal with their potential side effects for something that MAY happen to me in the future. There’s just no easy answer for any of us, is there? Thank goodness there’s a network of support here. I was on ACtemra for six months over the summer of 2013, and achieved a near-remission..until I reacted to it. We did try it again for five months (my whole first semester of grad school… that was hard), but I got worse and worse. I start Rituxan this Thursday, and I’m really nervous. I have asthma and Vocal Cord Dysfunction, and we had to run the Actemra at half-speed to prevent a reaction, even with premeds. My rheumatologist and Internist both have described Rituxan as a “silver bullet” before saying “but you’re a difficult case”. Talk about mixed messages! I’m really glad to know about the throat-tickle reaction with Rituxan, as that has happened to me with several other RA medications. This is all probably pretty rant-y, but I’m really nervous about starting Rituxan. I’m really grateful for this site, and the support here! Had flushed face and chest 24 hrs. after first injection of Actemra can this reaction stop after continued treatments? Not doing IV just weekly shots. Anyone? I just started Humira and I was wondering if it’s a normal reaction to have sharp joint pain. It seems like the swelling in my hands have gone down, but just was wondering how long it takes for positive results. Any information would be appreciated! Thanks! I had sharp joint pain on one bio. Forget which one , but it went away. I thought it was my joints “getting the medicine” lol. For anyone wondering about Xljanz I took it and loved it, but stopped working after 6 months. This is a very helpful website. I was on Remicade for several years and only stopped because my RA cleared up. No problem with the infusions. My RA is back and I just started with Orencia. A few hours after the first infusion, a sore throat which progressed to a really bad head cold which is still going on a week later. I never get colds so have to believe it’s from Orencia.